A private owned hotel with 28 rooms. Homely and relaxing atmosphere with 28 rooms. Half of the room has fjord view and the rest overlooks the mountains around Eidfjord. Here are rooms of different categories that are needed both for individuals and families - contact us if you do not find the room that suits you best. 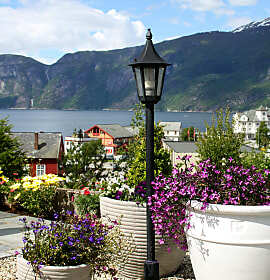 The hotel has a cozy living room with a view of the fjord where you find your place for relaxation. 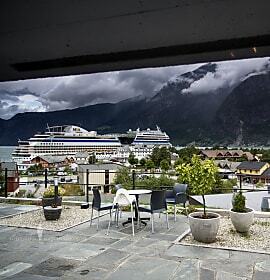 From the hotel restaurant Fjell & Fjord there is great sight towards the fjord. Here is the breakfast served, and homemade modern food based on local product. 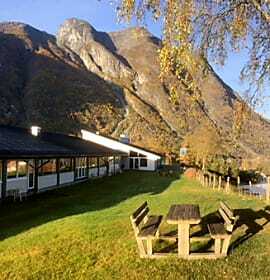 We know Eidfjord and would like to help you to have an enjoyable time here in our village. The famous Vøringsfossen, Kjeåsen, Trolltunga, Hardangervidda National Park are some of the attractions you find in the surrounding area. Feel free to test our creativity and ask us about our partners.